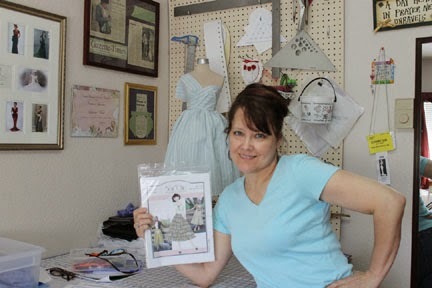 Today I have an honor to share with you my chat Laura Nash, owner of Sew Chic Patterns, as a part of Sewing Indie Month. When we started organizing this event, we (the designers) had to pick the potential partners to pair with for interviews and guest tutorials. Sew Chic Patterns was on my list form the very beginning, as I admired the designer who stood behind the feminine, retro inspired models of the brand. I was so thrilled when we actually got to pair together and got to know each other better. So, let me introduce you to Laura Nash, an owner of the Sew Chic Patterns, a pattern designer, and a mother of four. I owe Laura a big apology for being late with publishing the interview, which was scheduled for the mid of May. Even though we completed it on time, the horrible situation that shook up my country stopped me from publishing posts in the last two weeks. I asked Laura to introduce herself in her own words, so here's what she wrote. I grew up in the western United States where my family moved a lot. My dad was a mechanic and he spent his time building funny cars and inventing products for the race car circuit. My mother tried very hard to be a stay-at-home mother. She liked to cook and sew. I remember her at the sewing machine from about age 3, where she made matching dresses for my sister and I. At about age 10 I began to exert my own sense of fashion, and asked my mother to teach me how to sew. By age 13 I was sewing bras and blankets and designing for my Barbie doll. Even through marriage I continued to sew for my family, and then to help with income, I began sewing professionally for private clients and doing alterations for high end stores. Once my youngest of 4 children was in preschool, I began working on a college degree in apparel design. It took me 10 years to complete, all while raising my children. Did you like the custom sewing and alterations? What was the most difficult garment you had to work on at the time? There were parts that I liked, and parts I didn’t. I liked helping my customers to look great in well-fitting garments, but 99.9% of them did not want anything original. They would bring me a photo from a magazine and ask me to copy it. I would ask them why they don’t buy it from the original designer? They always hoped I could make it for less, or b) they wanted some design element changed. I became very good and fast at designing for, and fitting many figure types. None of the designs were difficult, just time consuming. People didn’t ask for styles that were creative and fun to sew. 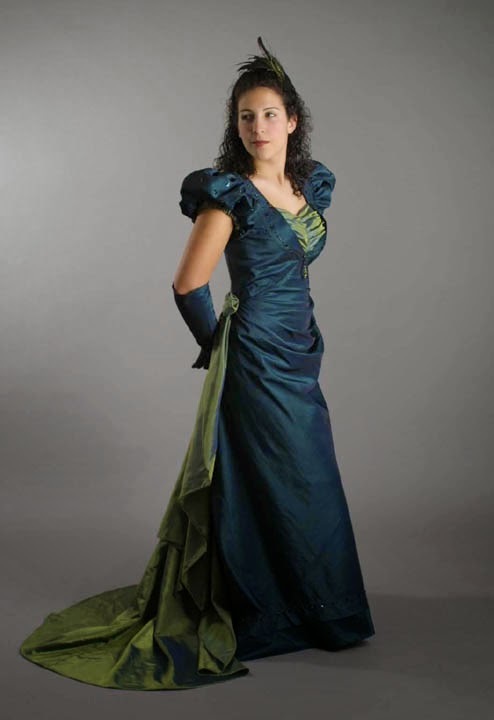 It was designing gowns for my daughter for high school dances that I could experiment a little, that and for competition. What does it look like to participate in a design competition? Do you have good or bad memories of that period? What are other contestants like? Do you think of yourself as of a competitive person? I loved doing competitions. Not because I feel particularly competitive, but because it gave me something to reach for, a way to advance my creative and technical skills. My designs were always accepted, and I did win a few times. I loved seeing my fashions in a runway show and listening for the audience reaction. I loved seeing the really fabulous designs of others. The contestants are usually kind and complimentary. It’s an exciting venue to be a part of. When did you realize you wanted to run your own business with pattern publishing? What moved you to make such decision? I knew I would be starting a business, but was a little on the fence about doing ready to wear, or publishing patterns. Then I had the opportunity to present a collection at Fashion Week. The audience reaction was phenomenal, but I didn’t get a good feeling being backstage with the other professionals. I had been praying about what to do, and that is when I knew that the ready to wear market was not for me. I knew that I would never be embarrassed to be a part of the sewing/craft market. How do you handle all the responsibilities you have as a business owner, a mom of four (respect!) and a wife? While I was moving to a full business set up, I had 2 kids still at home, but they were getting old enough that I could rely upon them for help and support. I included them in making decisions by asking them what they thought I should do, or if they liked a certain design I was working on. Now they are all married and live away from me. If I didn’t have my work, life would be so dull! My husband now cooks all the dinners too! How would you describe your patterns? Who are they for? 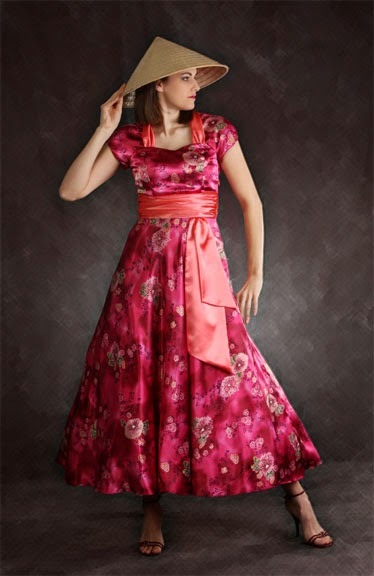 How do you envision the ladies who wear the garments made using Sew Chic patterns? My design aesthetic has never changed. 15 years ago, there was no name for my sort of style. People told me that my designs were “old fashioned” but then also “modern”, so I came up with the word “Modern-Vintage”. Now the name that is often used is “Retro”, but not everyone around the world knows what that means either. My styles are fitted and designed for both old and young, and created to please both the girl who loves frills along with the tailored type. In short, I envision them wearable by everyone. Where do you find the inspiration for your patterns? I look to the masters of design from the early 20th century. People like Cristóbal Balenciaga, Charles James and Madeleine Vionnet. How frequently do you publish new patterns? How much time does it take you to make the pattern, from the initial idea to the moment of launching it for sale? I try to publish at least one new pattern every Spring and Fall, but it doesn’t always work out for me. Other deadlines and responsibilities do get in the way. The time it takes depends upon the complexity of the pattern and how many problems I encounter. There are several steps to building a pattern, and it must be tested and checked at every stage. Can you describe the process of making a pattern? Of course it starts with an idea. People usually ask me if I do a sketch, but no, I start with an idea and it evolves from there. I make a first draft and sew the sample to evaluate. Wearing the sample is also an important part of this. Once I am satisfied with the design, it goes off to the grader. During this time I get the instructions written. When it comes back, it must be tested again with the sewing instructions. My tester is a beginning sewer, so she does a good job with this. Of course there are photos to be taken, packaging to design etc. Do you work alone, or you have employees / hire help? I like working alone, but now I do hire help because there is not enough hours in the day to complete all the tasks alone. What are your most and least favorite parts / stages / phases of the process of making a pattern? I love designing, but I don’t get to do that nearly enough. The part I dislike the most is writing the sewing instructions. It gets easier with time, but I still like it the least. How much time did it take to develop your business? 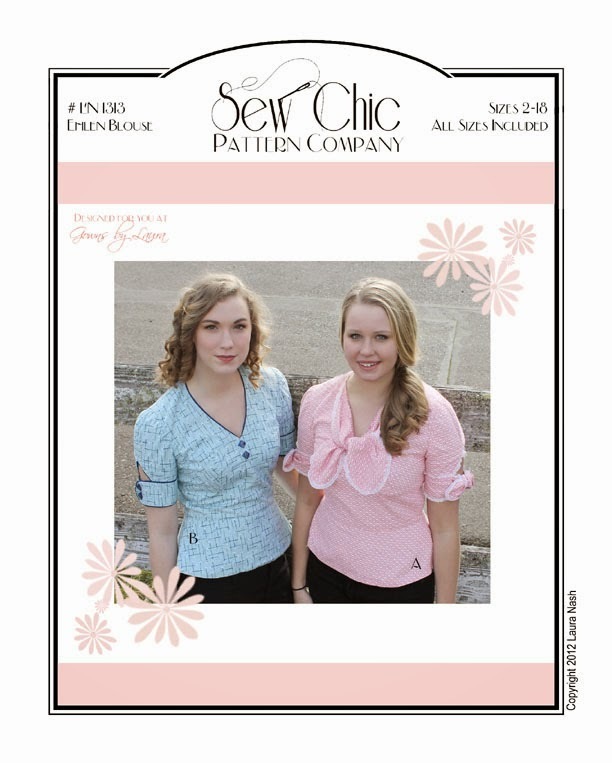 Do you have further plans for growing Sew Chic Patterns? Where do you see yourself and your company in 5 or 10 years? I used the early years to lay an infrastructure for these busy days, such as building a good website and creating sustainable methods to develop/print/ship/and service my customers. I did not borrow money to start my business so I invested only as quickly as sales and time would allow. It took about 3 years to really get going. I do not have a business mentor, but I am religious, and I take my cues and direction from prayer. You can read about my religious convictions here. Where will my business be in 5 or 10 years? I really don’t know, but I hope somewhere good! And since we're talking about Sew Chic Patterns, take a look at how Rhonda of Rhonda's Creative Life, plans to alter one of the many interesting Laura's patterns, the Myrtlewood dress. Big thank you to Laura on a great interview. I really enjoyed our chat, and it's been so interesting to me to learn about how my experienced colleague developed her business. I hope I'll reach the same success as she did myself, and I wish to Laura lots of great creations and beautiful patterns we'll all be happy to use.